I've been thinking about love. Real love. When you have it - it is a safe place. There are people in our lives that promise us love. Love in friendship, or love in romance. But sometimes this love - is not real. There is no safe place to land. When the world comes crashing down - they run. God's love is safe. It is a soft place for our soul. And He will always catch us. 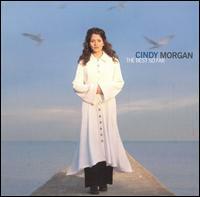 I have always loved these lyrics by Cindy Morgan.